Holy Family Parish Center, 2729 Center Road, Poland, will be the location of a cavatelli dinner with homemade sauce from 2:30 to 6 p.m. or until sold out. 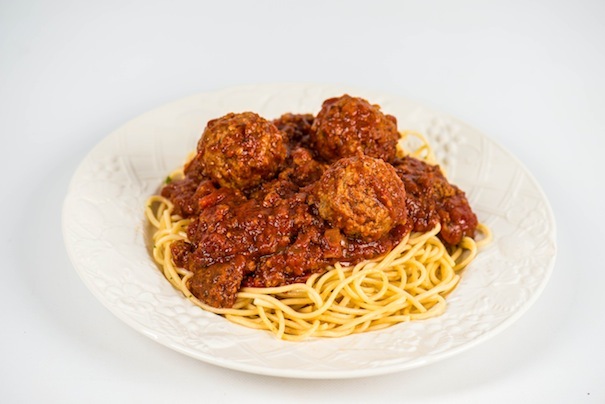 Menu includes two meatballs, tossed salad, bread and butter and two cookies for $10, small portion with one meatball is $5, pasta fagioli is $6, and homemade sauce will be available for $5 per quart. Takeout only. Place your order, remain in your car, and it will be delivered to you. St. Jude Women’s Guild, 180 Seventh St., Columbiana, offers drive-through dinners from 4 to 6 p.m. (or until sold out) the first Thursday of each month. The menu will feature stuffed peppers, homemade mashed potatoes, homemade applesauce, roll and butter and dessert. Cost is $8, and all proceeds go to the “Rebuilding Together in Faith, Hope & Love” campaign to renovate and expand the church. Western Reserve United Methodist Church, 4580 Canfield Road, Canfield, will have a Swiss steak dinner from 4 p.m. until sold out. Menu includes Swiss steak, mashed potatoes, gravy, corn, applesauce, roll and cupcake. Cost is $10. Drive-through or dine-in. Immaculate Heart of Mary Knights of Columbus 3930 will sponsor a sausage and pancake breakfast from 9 a.m. until 1 p.m. at the parish center, 4500 Norquest Blvd., Austintown. Menu includes sausage and a variety of all-you-can-eat pancakes and beverages. Cost for adults is $5 and $3 for children 12 and younger. John’s Breakfast will take place from 9 a.m. to 1 p.m. Sunday at St. James the Apostle Church, 4019 state Route 422, Pulaski, Pa. Menu includes French toast, sweet cheese filling , buttermilk and buckwheat pancakes, with a choice of maple or apple syrup, scrambled eggs, scrambled eggs with peppers, onions and cheese; home fries, bacon sausage, ham, toast, fresh cinnamon rolls, hot and cold cereals, coffee, tea, juices and milk. Cost is $9 for adults and $4 for children. Martin Luther Lutheran Church, 420 Clearmount Drive, Youngstown, will host a spaghetti dinner fundraiser from noon to 4 p.m. Sunday. in fellowship hall. The homemade dinner includes sauce, meatballs, salad, Italian bread, coffee/tea and homemade dessert. Take out will be available. Cost for adults is $8.75 at door ($8 in advance); $5 for children under 12 and free for children under 3. Proceeds will help fund the MLC community garden. Advance tickets available by calling the church office at 330-788-8707 Monday through Friday from 11 a.m. to 4 p.m.
Holy Apostles Parish, St. Stephen of Hungary Church, 854 Wilson Ave., Youngstown, is taking orders for a stuffed cabbage carryout sale. Cost is $25 per dozen, packaged fresh in a foil pan ready to reheat or freeze. Pickup will take place from 10:30 a.m. to 12:30 p.m. April 15 in the social hall. To order, call Dorothy at 330-783-2252 by April 11. St. Paul the Apostle Church, 10143 Main St., New Middletown, will have a pirogi sale Friday. The cost is $6 per dozen. Potato, cabbage and cottage cheese pirogi are available. Phone orders will be taken Thursday and Friday from 8 to 11 am. Call 330-542-3525 to order. Pick up Friday from noon to 3 p.m.
Aut Mori Grotto will host a beef tips and noodles dinner from 4 to 7 p.m. April 19 at the Grotto Hall, 563 N. Belle Vista Ave., Youngstown. Meals also will include salad, vegetable, roll with butter and beverage. Cost is $10 per person. Proceeds will benefit Grotto charities and the building fund. For information on this event or Grotto charities, contact Dan Illenick at 330-565-8648 or Carmen Pompeii at 330-718-5742. The building is handicap-accessible and carryouts are available. Meals on Wheels, Columbiana, will host a spaghetti dinner and basket auction from 4 to 7 p.m April 14 at Firestone Park, Pavilion 4 (near the duck pond). Cost is $9 for adults and $5 for children age 12 and under. Takeout is available. For information, call 330-482-0366. Sharon United Methodist Church, 237 W. Silver St., will host a carryout-only ham loaf dinner from 4 to 7 p.m. April 21. Menu includes ham loaf, potatoes, vegetable, applesauce and dessert. Cost is $8 for adults and $5 for children age 10 and under. Call the church office at 724-983-0200 to pre-order or walk-in orders available. VFW Post 2799 Auxiliary will sponsor a homestyle breakfast from 8 a.m. to noon April 15 at the post home, 3161 E. South Range Road, New Springfield. Menu includes eggs, hash browns, sausage, ham, pancakes, freedom toast, toast, coffee or tea. Cost is $6 for adults and $3.50 for children under 12. VFW Post 2799 Auxiliary will sponsor a spaghetti dinner from 4 to 7 p.m. April 12 at the post home, 3161 E. South Range Road, New Springfield. Menu includes spaghetti, meatballs, salad, Italian bread, coffee or tea. Cost is $7 for adults and $3.50 for children under 12. Western Reserve United Methodist Church, 4580 Canfield Road, Canfield, will host a pasta dinner fundraiser to benefit a volunteer-in-mission trip to orphanages in Kiev, Ukraine, from noon to 2 p.m. April 15. Menu includes pasta, meatballs, salad, bread, dessert and beverage. Cost is $10 for adults, $7 for children ages 6 to 12 and free for children under 5. Takeouts available. Youngstown Saxon Club, 710 S. Meridian Road, will host its 42nd annual President’s Benefit Goulash dinner at 6 p.m. April 14. Dinner is open to the public at 6 with dinner to begin at 6:30. Donation is $16 for adults and $7.50 for children and includes coffee, strudel and refreshments. There will be music, awards and raffles. Reservations must be made by Saturday by calling the club office at 330-792-7973.